Wow, it’s that time of year, when we get together for parties, family time and whatever occasion we can think of. Lots of traditional dishes are cooked to share with others, so why not create the perfect paring with your meals and a great Texas wine. Here are some great ideas of what to pair, thanks Go Texan for sharing these. Turkey pairs well with dry white wines such as Sauvignon Blanc and Pinot Grigio. If you prefer your turkey smoked or grilled, sip on a dry, red wine, such as Pinot Noir or Shiraz. Chicken, wild-caught Gulf shrimp or fish, then you must try Chardonnay, Blanc du Bois, Chenin Blanc or Gewurztraminer to make the flavors stand out. 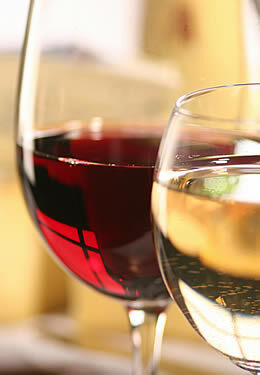 Hunters will enjoy a Pinot Noir or Zinfandel with duck and quail, or Merlot or Syrah with wild boar. While enjoying a chocolate dessert, pair with a Port or Riesling. This entry was posted in Deb's Doodles, Texas Wine Trail and tagged cooking, txwine, wine pairings by admin. Bookmark the permalink.